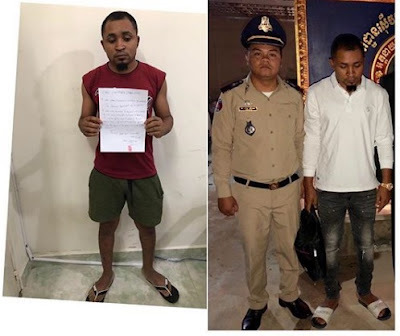 A 32-year-old Nigerian man was, today, sent back to Thailand for overstaying his visa in Cambodia. Onu Chukwuma Christian was arrested on February 18, 2019. He was eventually deported through the Poipet international border crossing, back to Thailand.